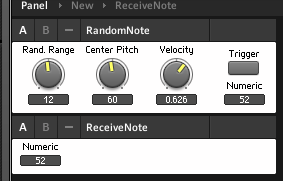 …and the RandomNote will then send a note to the ReceiveNote instrument – or, in the properties, you can set up RandomNote to send the note to a different instrument, or a different plugin, or even a hardware synth. Use the Connect tab of the RandomNote instrument properties to select a destination. The center pitch and rand. range knobs control the range of notes that can be selected randomly. The velocity knob sets the volume of the triggered note. This is not a finished instrument, but a demonstration of a technique. A recipe ingredient, if you will. The Trigger button triggers a core cell that outputs a random value between -1 and 1. This is multiplied by the Rand Range knob to produce a value, in this case between -12 and 12. 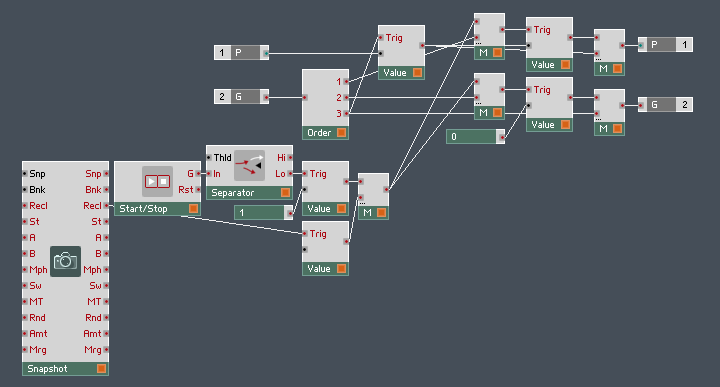 A quantize module turns this into an integer, a whole number, which will correspond to a MIDI note. This value is then added (or subtracted if it’s negative) to the value from the Center Pitch knob. An Order module sends the note value first to the P(itch) input port on a Note module, and then to the Trig(ger) input on a Value module that holds the Velocity, or volume, of the triggered note. The Note module only sends when it receives a value at its G(ate) port, and it sends a note with whatever pitch was at its P input at the time. Download the ensemble here and start hacking away at it. Replace the Rand. Range and Center Pitch controls with a scaled LFO, and the Trigger button with a clock, for example. Another recipe ingredient that might come in handy here is my Roux basic sequencer macro. You’ll quickly notice, in sending this control signal to a synth, that it’s missing a note-off. We’ll add that next time! This entry was posted in download, Free Reaktor Ensemble, Practical Reaktor and tagged algorithmic, MIDI, Note, random, reaktor, tutorial on August 26, 2013 by peterdines. I’ve started tidying and reorganizing the blog, and have added the tag Practical Reaktor to what I think are the most useful posts for builders and aspiring builders. What used to be the Tutorials link in the navbar up top is now labeled Practical Reaktor. It’s a Reaktor 4 era document but most if not all of the same techniques apply to version 5, with a few minor differences here and there. It’s a fantastic resource for beginners to get used to stringing things together and making good stuff happen. Check it out. This entry was posted in Practical Reaktor and tagged building, David Coffin, Documentation, FX Tutorial, tutorial on August 2, 2013 by peterdines. We have here a simple ensemble with four macros, each of which has “from” and “to” selectors for MIDI controller and channel. If you want to remap more CCs, just clone the macros and arrange them on the front panel. 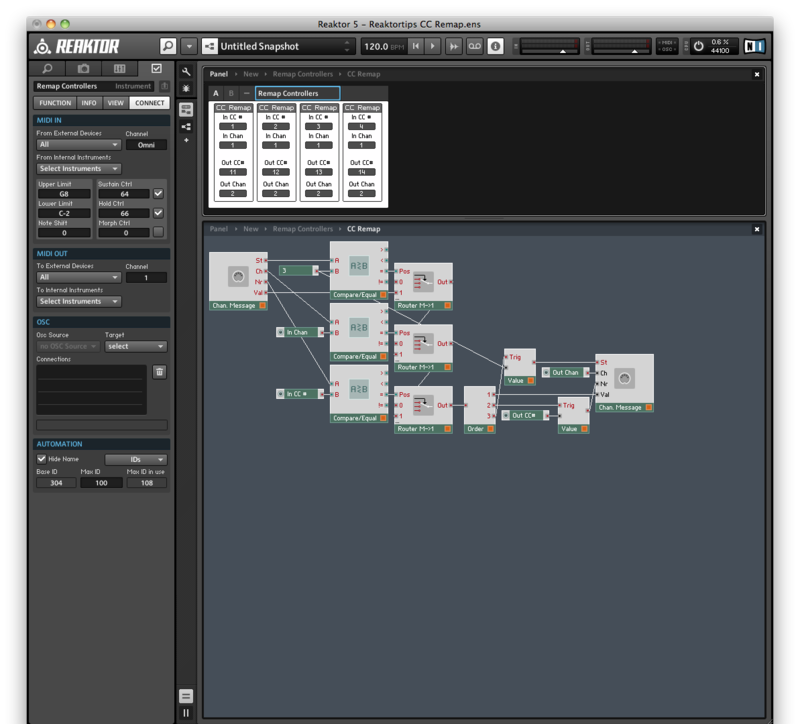 Each macro contains MIDI channel message in and out modules, plus controls to filter the incoming messages with routers. The type of message is set to 3 for MIDI CC, and if the incoming event matches that, it gets passed to the next router, which tests whether it’s on the correct channel. Finally, a third router lets through only events for the MIDI CC number you have selected. 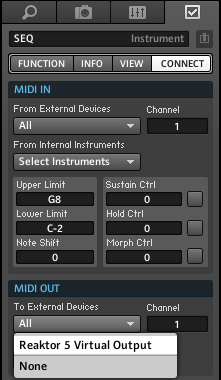 Similarly, there are controls to select the outgoing MIDI CC number and channel you want to send to. Technical note: the order of events for the Channel Message module is from top to bottom for the incoming module, and from bottom to top for the outgoing module. 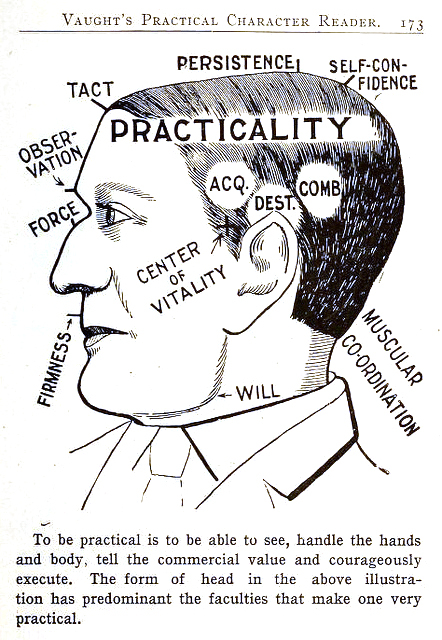 You’ll need to know this if you want to modify and enhance these structures. So what is this good for? It’s useful whenever you have a device or plugin that sends inflexibly fixed CCs and you want to send them to another device – which may have different fixed CCs.You can also perform operations on the controller data to invert or scale it, by adding a few simple math modules. Download your copy here. Questions? Ask away! This entry was posted in download, Practical Reaktor and tagged CC, controllers, MIDI, reaktor, remap, tutorial on August 1, 2013 by peterdines. Someone on the Reaktor forums asked about adding MIDI out to Krypt, so I thought I’d post up a quick guide and a macro for adding quick and dirty MIDI send capabilities to it or most other Reaktor sequencers that otherwise send their signals through an event rate wire in the structure. The numbered note pitch controls correspond to each drum sequencer to determine which MIDI notes the sequencer will send on. In this example I’ve set them to the note pitches for the first six drum synths in Drumspillage but a click and drag will set them to something else. You could also send the output to a melodic instrument and create 6-pitch phrases… might be nice for gamelan type sounds. 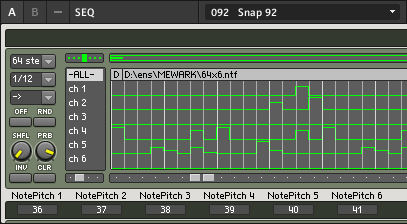 The point of the NoteOff macro is to send a MIDI note off before sending a new note. Some polyphonic instruments don’t react kindly to having too many notes activated at the same time, and will eat lots of CPU and make your computer sad and crackly. Don’t worry too much about the structure inside here for now. I’ll explain in a future post. 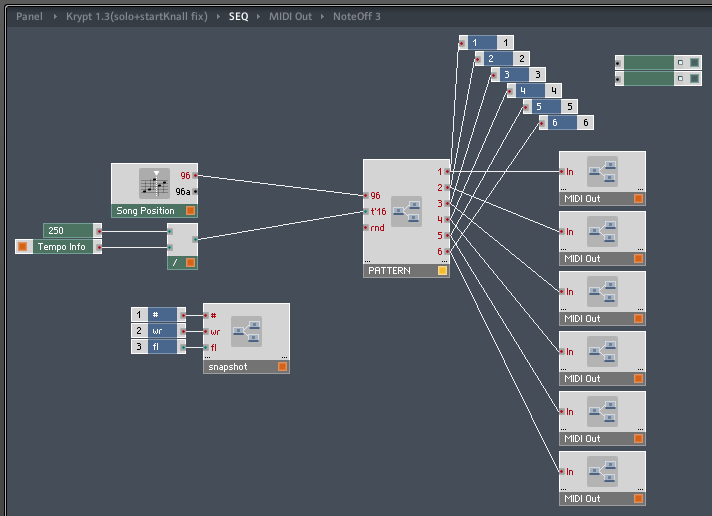 If you’re using Reaktor in a host, use the “plugin” output. 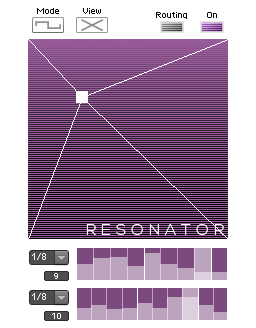 Note: Mac people, do this with the VSTi version of Reaktor. The AU version, as is the case with all AUs due to the plugin specification, has no MIDI out. You can download the MIDI out macro here. Note that the Krypt sequencer sends velocities between 0 and 1, which is perfect for this macro. If you have some oddball sequencer that sends a different range of velocities you’ll need to scale it with a multiplier module. This entry was posted in download, Practical Reaktor and tagged drum sequencer, krypt, MIDI, midi out, reaktor, tutorial on May 31, 2013 by peterdines. This is a quick video tutorial on adding samples to Frame 3, my free creative sampler for Reaktor which you can download here, where you will also find Part 1 of the tutorial. Part 2 is here. Update: just got a great idea from a KVR forum member: adding unison effects to Frame 3. 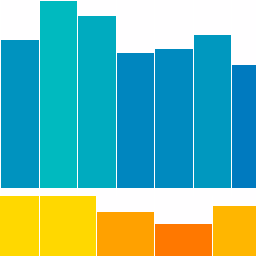 It’s very easy – simply bump up the number of voices in the instrument’s function palette tab, and set the min / max to a factor of the voice count. Here for example, each note you play will have four voices. 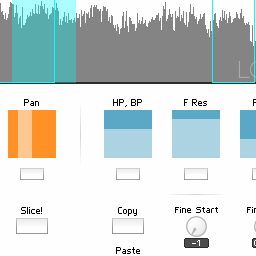 Play with the “spread” control too, which determines the amount of detune between unison voices. This entry was posted in download, Ensemble, ensembles, Frame 3, frametutorial, Granular, Practical Reaktor and tagged au, instrument, plugin, reaktor, Sampler, Sampling, tutorial, Video, vst on May 30, 2013 by peterdines.